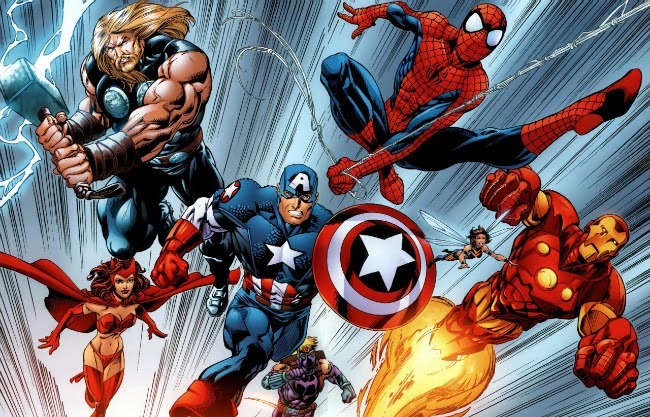 According to Dave Gonzales at Latino-Review, Sony and Marvel have reached an arrangement that will see Spider-Man join the Marvel Cinematic Universe in time for Avengers: Infinity War on May 4, 2018. Dave writes a weekly column at Latino-Review that has always been a reliable source of information given the fact that the scoop business is one in which it is impossible to bat 1.000. Today's edition of Marvelous Da7e set loose some huge potential spoilers for Marvel Studio's Phase 3 including the big news that a LOT of fanboys have been waiting for: it seems Spidey is coming back to Marvel Studios. Which brings us to May 4th, 2018 - Avengers: Infinity Wars Part 1. Here's what I understand: Steve Rogers is not in this movie. He is dead. Thor is not in this movie, he is imprisoned. Spider-Man IS in this movie, the Sony deal went through. I love this for so many reasons, including the fact that much of what Dave is saying lines up with a lot of my predictions for Phase 3!